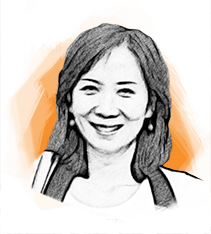 Pharma's Almanac | Carrie Cao, Ph.D.
Carrie holds a Ph.D. degree in Pharmacology and a Master degree in Bioscience Management. Through her twelve years of biomedical research in cell signaling and cancer, Carrie has built a solid knowledge base to understand the science behind life science innovations. During her business training at Keck Graduate Institute (Claremont, CA), she gained a comprehensive view of the life science industry by taking projects on product development, technology and product evaluation and business plan development. This diverse experience allows her to dig through complex data providing marketing and technical insights into a variety of aspects of drug discovery and development. Carrie is a scientific contributor for That’s Nice and Nice Insight.